The anonymous, non-gendered, non-demographic brand 69 is representative of the rise of a new anti-fashion, which isn’t so much oppositional as it is simply ambivalent. Identifying as “Non-Fashion”, the brand choses to ignore the mainstream industry in favour of an independent, almost utopian vision of clothing, community, consumption and creativity. “(The brand) is non-fashion... it’s a clothing brand – actually a lifestyle brand. The lifestyle is comfort and practicality,” comments 69’s designer, who from the very beginning has chosen to remain anonymous à la Martin Margiela. “Its vision is largely about comfort and being for everyone.” The brand’s staple – denim – most explicitly supports this, having historic traces to the working class and representing one of the most durable, comfortable fabrics available. 69’s most recent collection, staged yesterday at 356 Mission Rd., an exhibition and event space that’s an institution for Los Angeles’ creative community, showcased updated classics chief to the brand’s DNA: denim trousers with the entire back panel cut out to reveal butts, oversize crisp white button downs with a small windows at the breast and trousers sliced at the thigh. 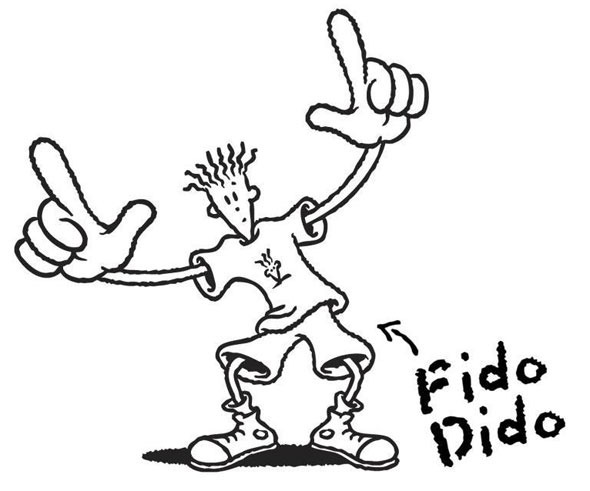 There were also their classic oversize denim tops and trousers as well as comfortable, casual t-shirts with a slightly altered 69 logo, made to resemble the cartoon character Fido Dido. The entire collection was in the brand’s classic denim-white-black trio of colours, which gave the appearance that the models were dressed in the uniforms of an imaginary collective community. According to 69’s designer, the clothing they design is “80-90% oversize so people can move in it more freely.” This was particularly paramount during this season’s presentation, which took the form of a modern soul train line. A diverse cast of Los Angeles’ extended artistic community, including dancers, stylists, writers, artists, actors and designers, representing multiple races, body types, gender expressions and physical abilities, took turns dancing down a pseudo runway decorated with a playful zig zag pattern, while the audience cheered in delight. You couldn’t help but think of a time before the fashion industry was so corporatised, of the 80s and early 90s when fashion shows were still fun. Like their AW15 presentation, the show highlighted two other principles of 69’s philosophy: accessibility and gender fluidity. Besides permitting freedom of movement, it was obvious that the showcased oversized designs, the majority made up of separates, could have been worn interchangeably by the models. That’s because none of 69’s garments are made with a target consumer in mind. They are meant to be worn by anyone, since at its core the brand is non- demographic, non-gendered and wholly inclusive. And what of 69’s decision to stage this collection in Los Angeles, away from the buzz and scrutiny of New York Fashion Week? When asked whether their decision to show in Los Angeles this season was linked to a particular connection to the city, whether it was another example of Los Angeles potentially evolving into our next big fashion capital, the brand’s designer’s answer was surprising. “I don’t identify with being an LA brand,” they commented – a reminder that their objective is to be for everyone, reflected by their tagline “World-Wide”. Nevertheless, what is significant about the show being staged in Los Angeles, according to 69’s designer, is the brand’s refusal to participate in the imposed geographies of the fashion establishment. Why show in New York, when your collection can travel, physically and digitally? And what is more anti-fashion, or better yet, non-fashion, than that?